I was hoping this would show up here. Wonderful! It was about time Orman! 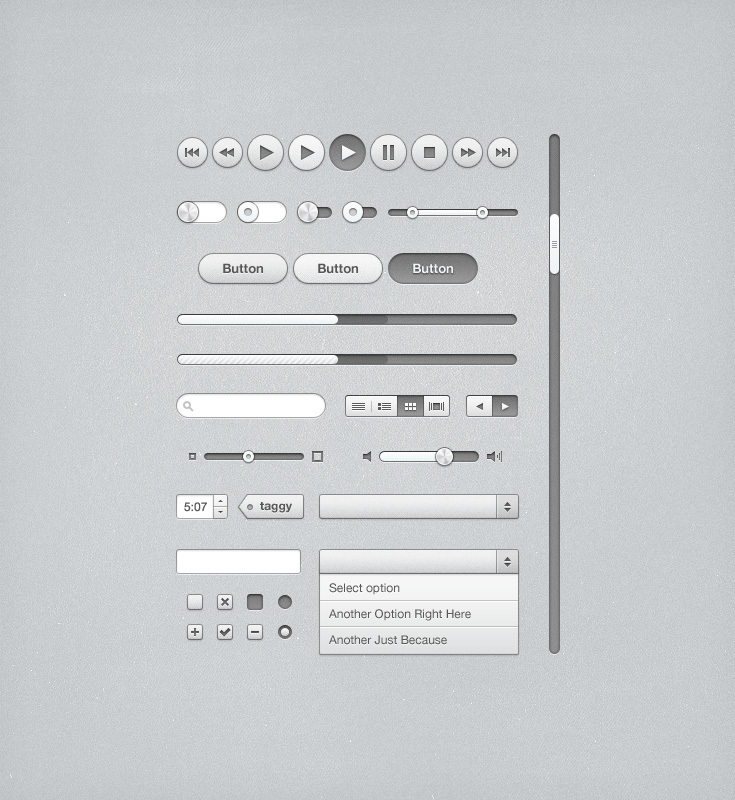 I’ve been looking for a nice UI kit within the last couple of days – just found it ;-). This is great thanks Orman! Absolutely brilliant, really needed this ! Wow.. this really looks good. I am sure somebody will adapt it to some application. Thanks for providing this creative design. I have been looking at the itunes ui for months and thinking to myself….that would be fun to recreate. Well Done Sir!!! as always. Another great freebie! Thanks Orman! Thanks Orman! Nice again, I’m missing the file dialog, could you suggest (or even make, if you can make time for that), how you would make a file-chooser, using this style? Hey Orman, it’s rly awesome! It would be nice to see a tutorial of how to do this using code. Wow. This looks great. Would love to see a iPhone Theme using this UI Kit. Really nice. Is it okay to use for commercial purposes? I would credit you somewhere of course. Sure, feel free. You can use anything from here for commercial purposes. I thought this came with the SOURCE CODE ?? ?